This page will provide you with everything you need to know about rushing Out of the Blue. We can't wait to hear you sing! If you missed sign-ups, please email Minh at minh.vu@yale.edu to sign up! 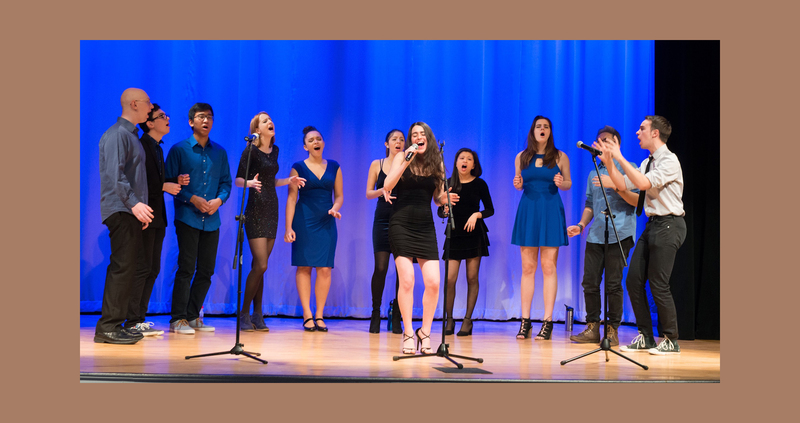 Performances: There are three opportunities for you to hear OOTB Perform: Woolsey Hall Jam, Dwight Hall Jam, and Out of the Blue's Singing Dessert. All three of these events are important, as they will give you a chance to meet OOTB members and get to know our performance style! Dates and locations for all of these performances are listed below. 1. Warm-ups: Simple vocal exercises with the group to warm up your voice and demonstrate your range. 2. Pitch matching: We will play a short sequence of notes and ask you to sing them back to us. 3. Quartet: You will sing a voice part of your choice for our song "Jar of Hearts" in a quartet with three current group members. Feel free to bring music with you, but please be familiar with your part before coming to auditions! You can find the score on the back page of the paper you received at Dwight Hall, and audio tracks in the Auditions Packet on this page. 4. Solo: You will sing one song of your choosing - past OOTB members have auditioned with songs ranging from country music to Broadway! Your solo can be as short as a verse and a chorus, but whatever you sing, make sure it's something you enjoy! If you love what you're singing, it will come across in the audition room. Rush Managers: Minh, Evan, Kevin, Maddy, and Hannah are your go-to people for any questions you might have about the rush process. Feel free to call us any time of the day or night - we're here to help you through rush! Tap Night: This is the final night of Rush, and the moment when we'll tap the OOTB Tap Class of 2018! Want to know more? Don't hesitate to ask our Rush Managers, or check out the FAQs!